First make the tomatoes into puree or you can use ready tomato puree. 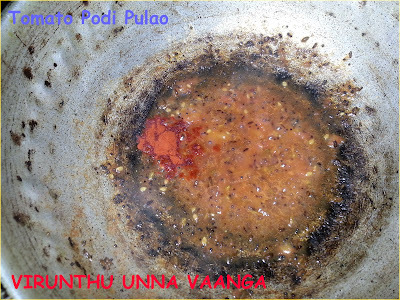 Now heat oil in a pan, add fennel seeds, cumin seeds and mustard seeds wait it for splutter and add hing. 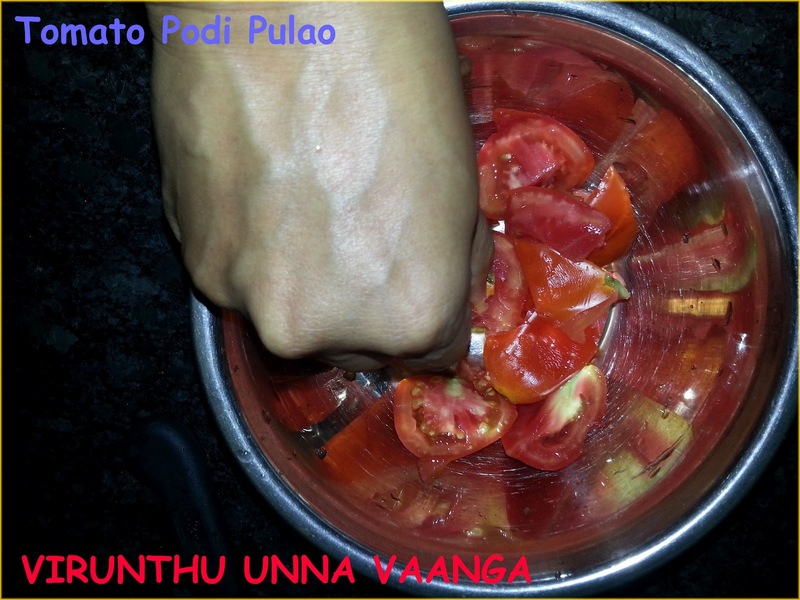 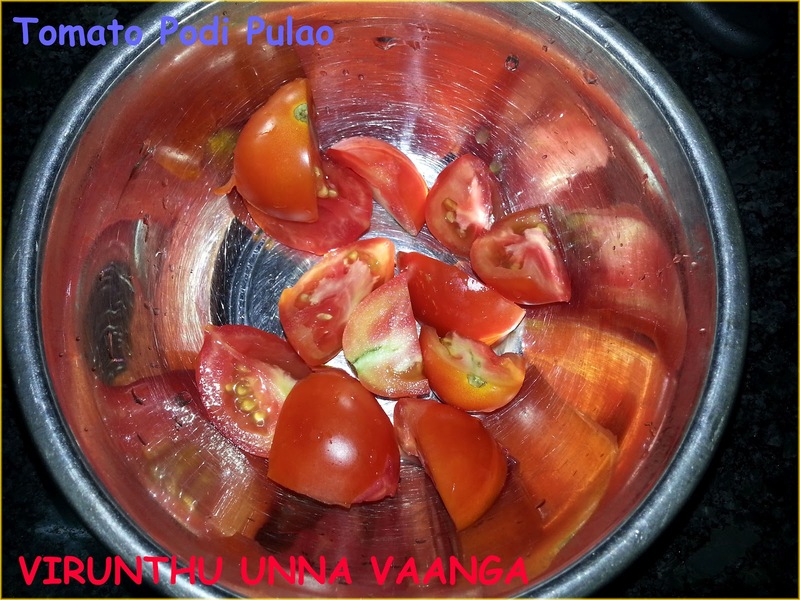 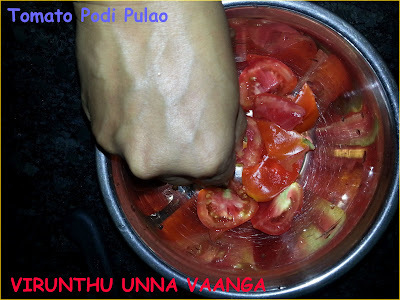 Now add tomato puree with salt to this and fry well. 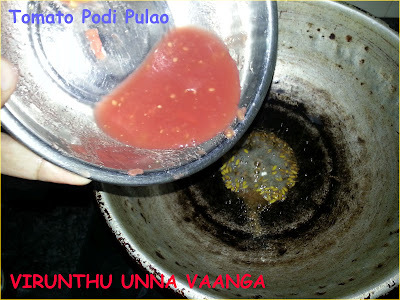 Now add red chilli powder mix and fry well till oil separates from the gravy. 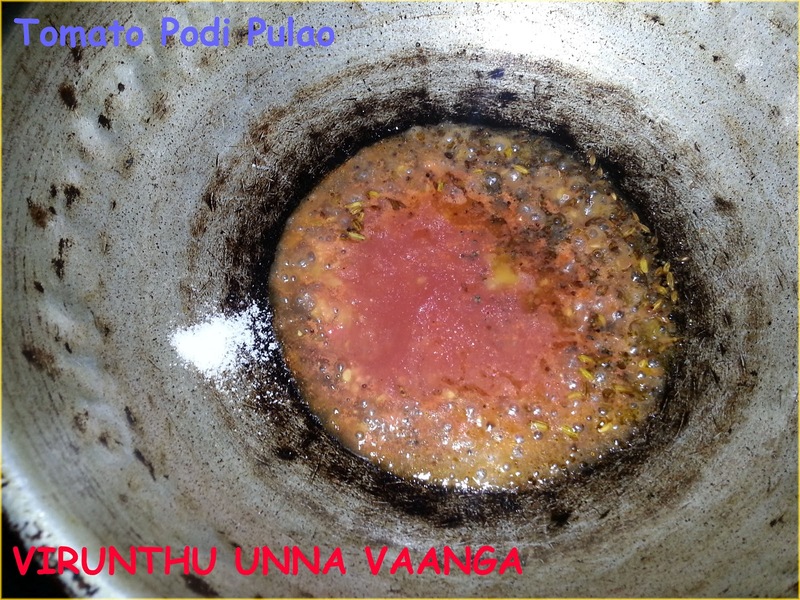 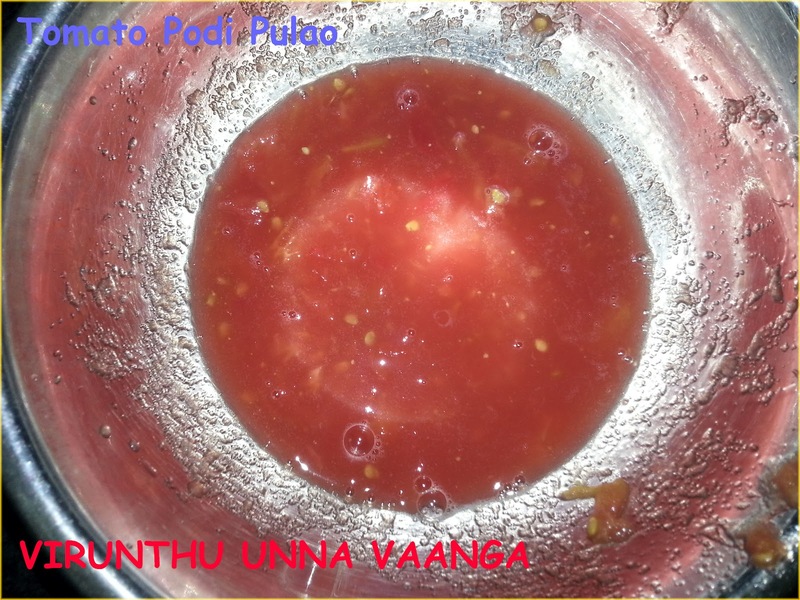 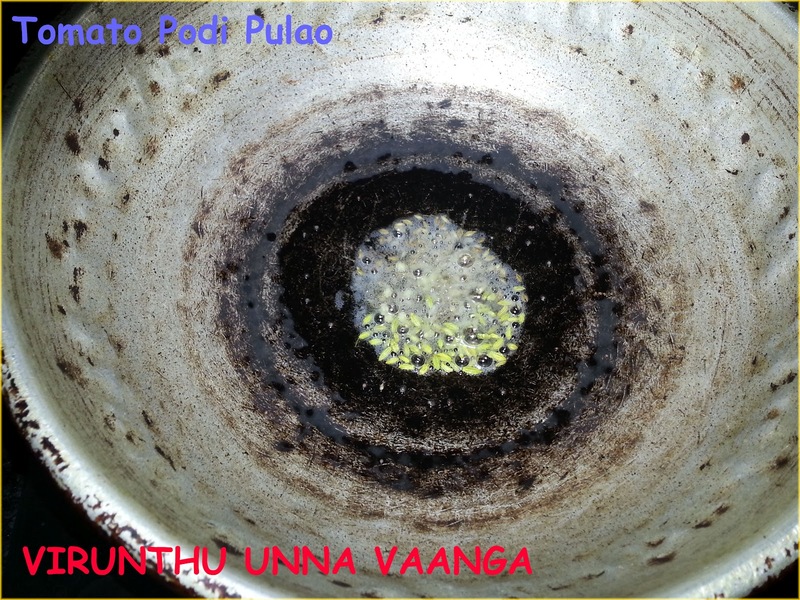 Next keep the flame on low add Idli podi mix well and switch off the flame. 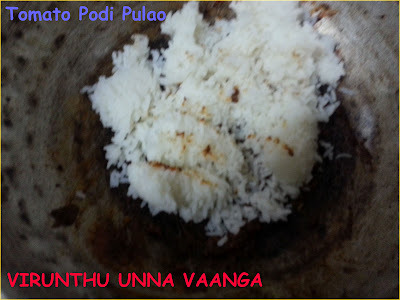 Now add cooked rice and mix well and serve hot with papad or potato fry. 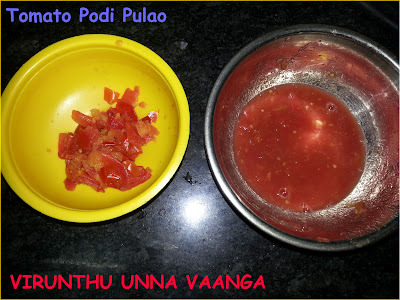 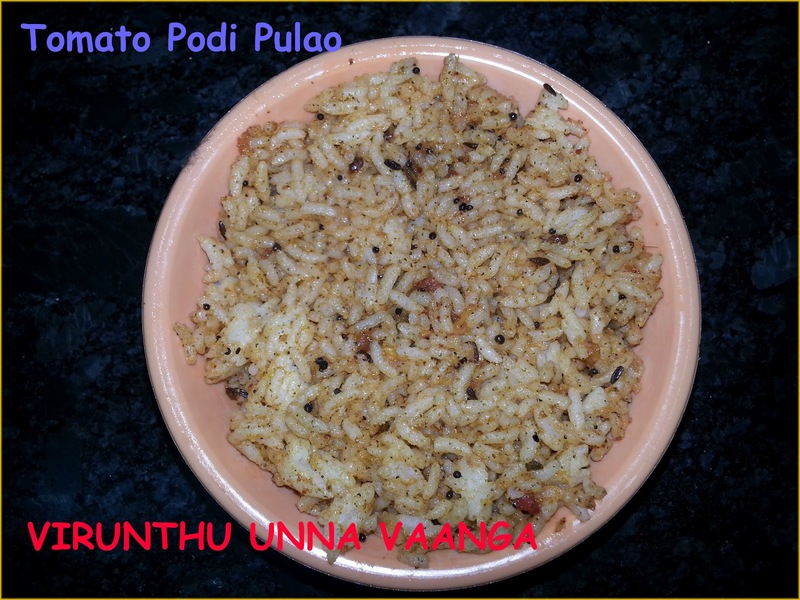 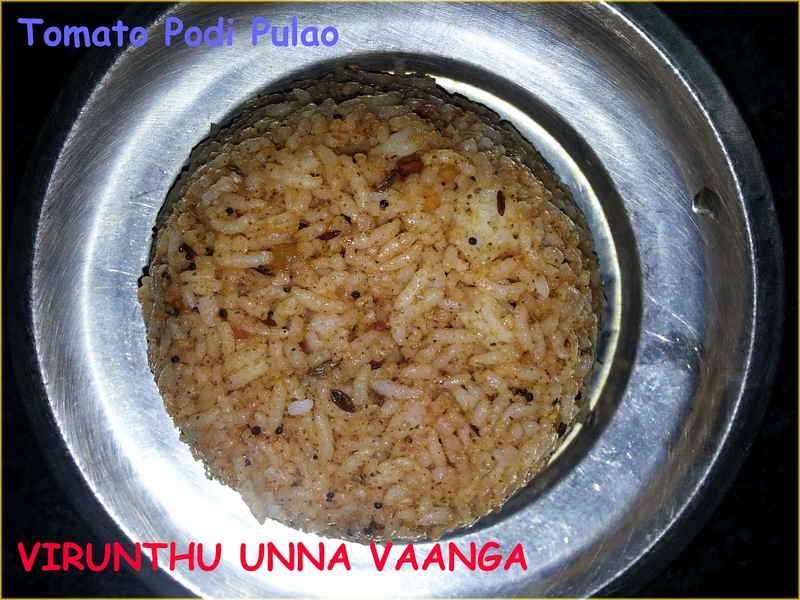 HAVE THIS YUMMY TOMATO PODI RICE!! this is so new to me.interesting. 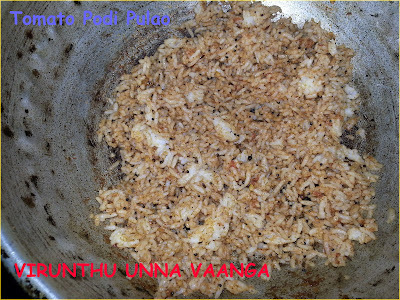 Very interesting rice, prefect for lunch box. 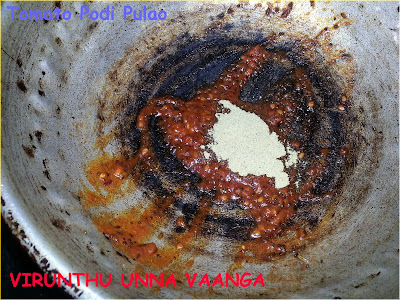 Sounds delicious. 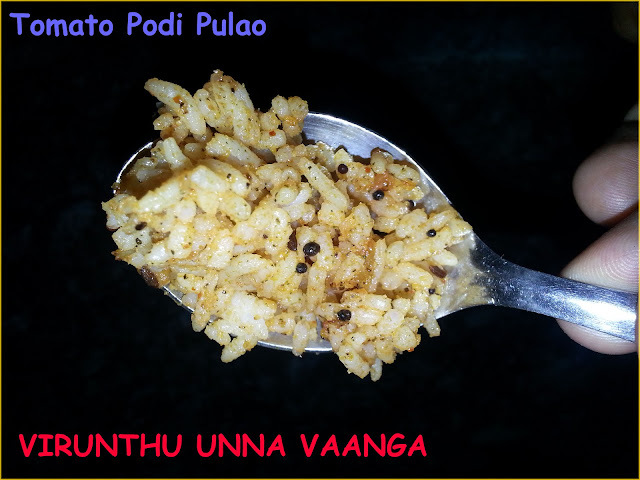 Perfectly made. Nicely documented. 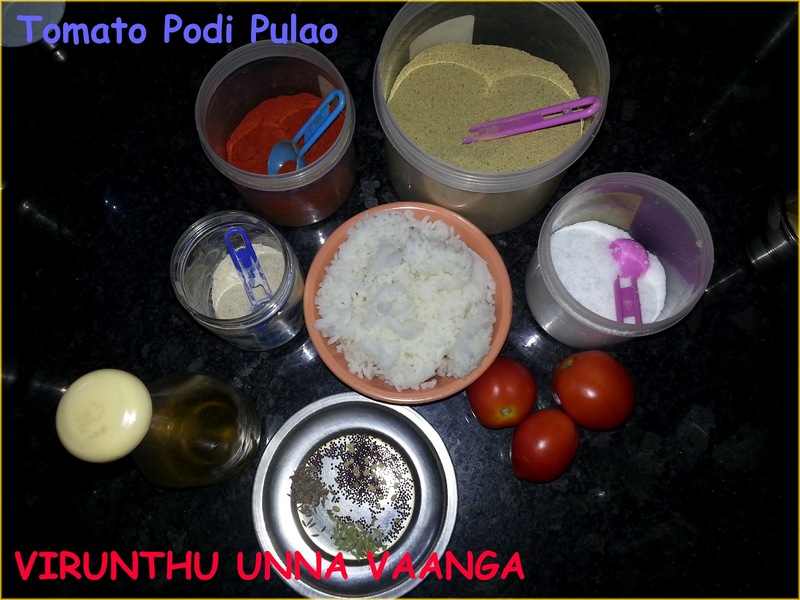 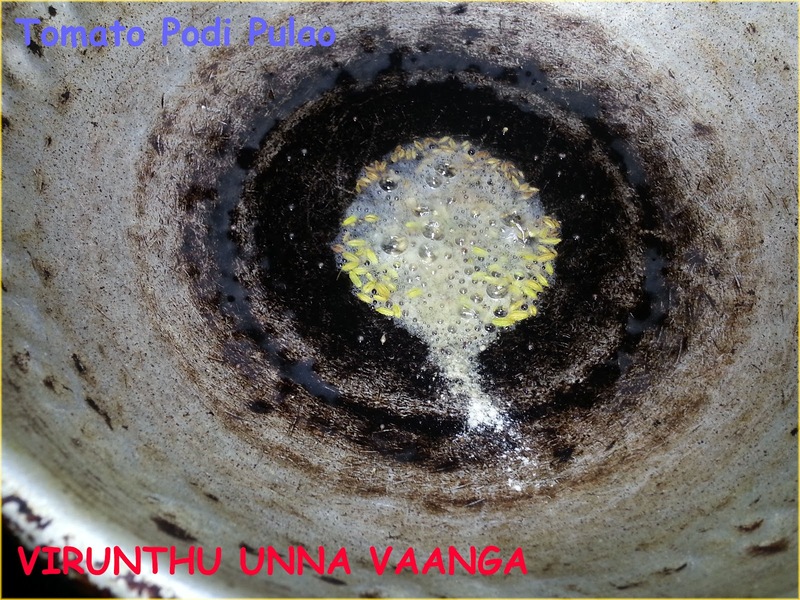 Idli podi to rice interesting. 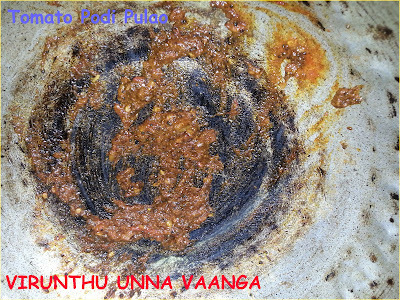 a new dish for me.. sounds gr8 dear.. Thanks dear, for giving me such nice words and inspiring. 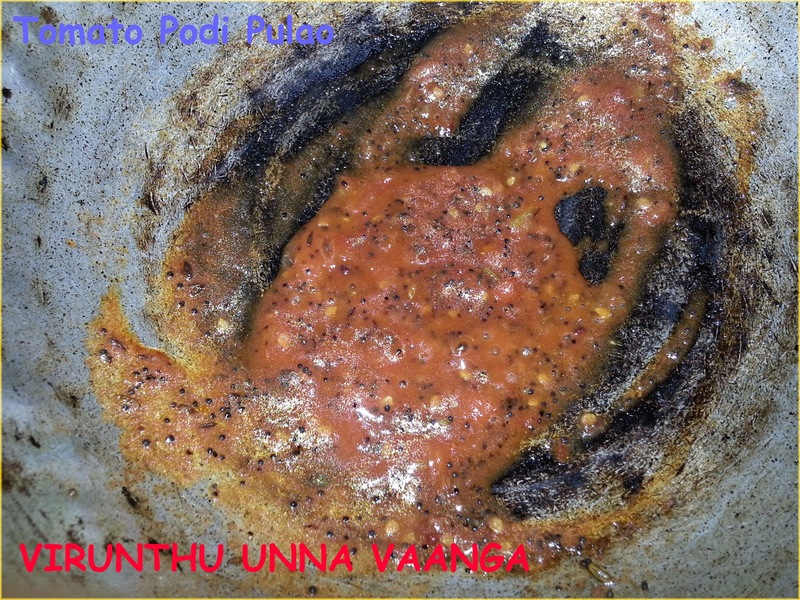 can i know the meaning of your blog if you don't mind. 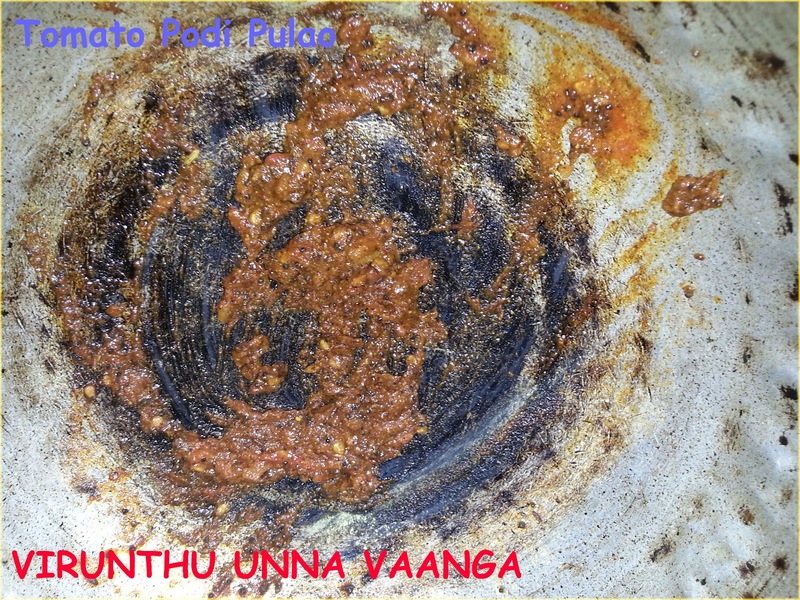 Hi pari sure, VIRUNTHU UNNA VAANGA means "Inviting you all for great feast(formal or traditional meal)" i named in TAMIL. I can imagine how tasty this would be, delicious rice recipe!